Here's the perfect companion while on the go! 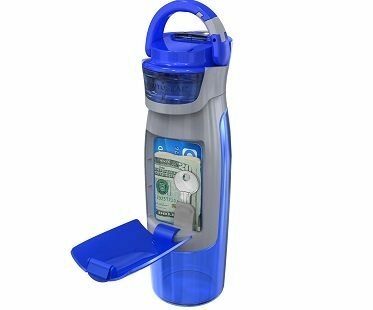 Use this storage compartment water bottle while out on runs or walks to minimize bulky pockets filled with keys or money. They'll be safe and secure inside the handy compartment. Features an auto seal lid that's leak-proof and spill-proof.